Figi is a beautiful young female approximately 1-2 years old. Although we are not sure, but it appears she has had a rough background. Figi is pretty shy at first, but when you sit down next to her her motor starts running and she absolutely loves being pet and scratched. Figi loves to chase string and chase little noisy toys. Her Foster mom says she has never pet a cat so soft. 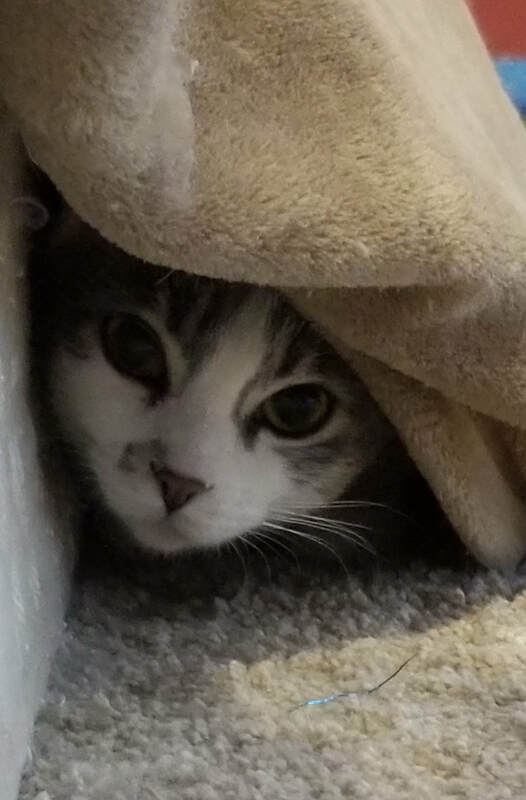 Although shy cats are not for everyone she will make an amazing companion to someone in a quiet environment. With a nice window to sit in, it's one of her favorite past times. Figi is a diamond in the rough!